Does your job end when you purchase a vehicle? At the point, your car has even a slight dent; this flaw can influence the general appearance of your vehicle. When the dent damages the paint, you may likewise encounter rusting around the spot of the dent. To keep your car looking incredible, let Pitcrew car repair shop handle it as soon as it happens. Cars that are taken great care of inevitably consume less fuel and radiate lesser emissions. Thus, it will make your vehicle ecologically stable and in the long run, will likewise enable you to save money. What happens when you take charge and try to resolve concerns on own? You must do maintenance of your car and its internal workings, but attempt to do only as much as you can. Always remember that personal car care adds value, but can’t supplant standard maintenance as done by a professional mechanics in Pitcrew. There are various reasons for car accidents, a noteworthy reason is ignoring car service. The key factor for consistent servicing of your car is to ensure that you and your family stay safe as well are the outsiders on road. All drivers depend vigorously on the brakes. They are most significant for safety and need to work on the standard quality. But, brakes don’t remain fine without appropriate care. They should be checked, as well as consistently acclimated to guarantee that vehicles are safe for roads. 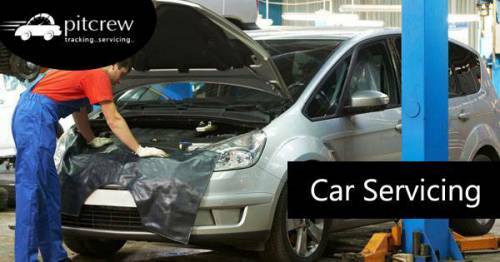 This entry was posted in Blog and tagged affordable car service, best car service, car battery, car repair, car repair gurgaon, car repair workshop, car service in gurgaon, Car Workshop, Polo service, repair, shocker, Vento service. Bookmark the permalink. Nice Blog. Thanks for sharing these important tips hoe can maintain our cars on time. Keep it up. Vehicle maintenance is necessary for any car. If you own a car taking care of it is must and it’s much better to do it on your own. So you can save huge bucks on mechanic bills. You do not have to be a professional for fixing your car’s little bit problems.